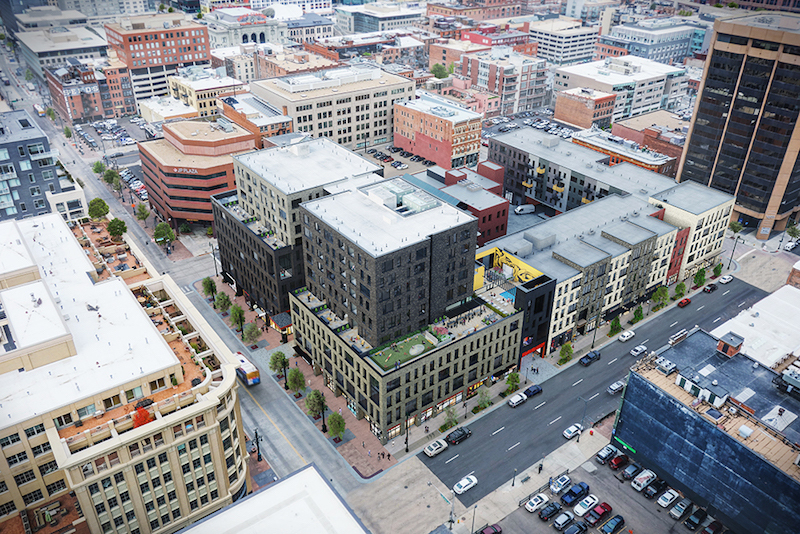 Amazon leased 125,000 square feet at 1513-1530 Wynkoop Street (Photo: LoopNet).  DENVER — Office availability continues to tighten in the Mile High City as asking rents maintain an upward trend, according to Savills’ 2019 Q1 Office Market Report. Overall space availability in Denver continues to decline, ending the quarter at 16.9 percent — a 180-basis-point decrease year-over-year. There is currently 3.5 million square feet under construction throughout Denver. 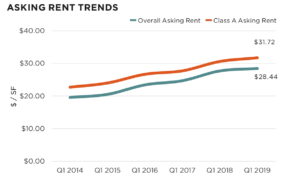 With new product driving rental rate growth, asking rents increased 2.7% over the year, now at $28.44 per square foot (psf) for all classes. The coworking sector is rapidly expanding across the market and shows no sign of waning. The first quarter of 2019 witnessed comparatively strong leasing activity with nearly 2.1 msf leased. This marked the highest quarterly leasing total of the past four quarters. 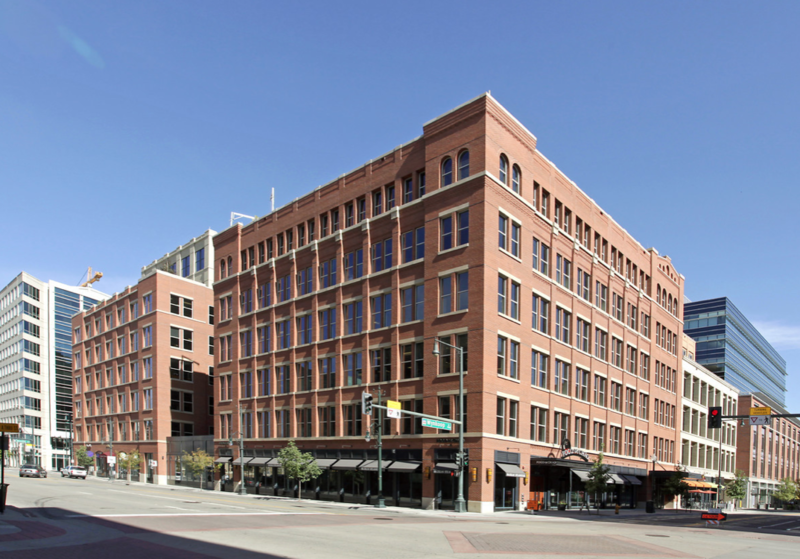 Nearly 900,000 square feet (sf) was leased in Denver’s CBD. The coworking sector is rapidly expanding across the market and shows no sign of waning. WeWork committed to more than 90,000 sf in the CBD and Boulder this quarter. 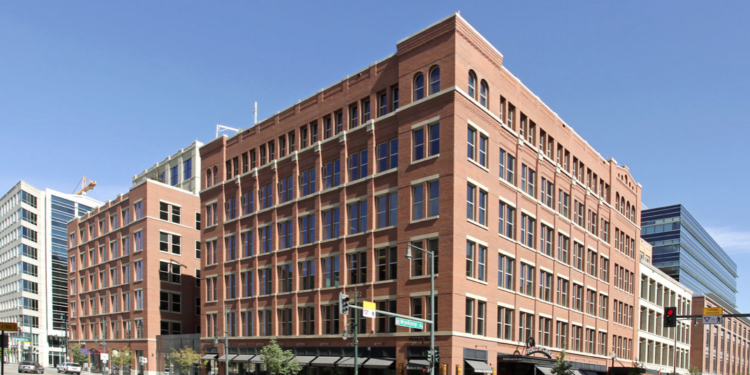 Amazon leased 125,000 square feet at 1513-1530 Wynkoop Street, while Sunrun Inc. committed to 118,000 square feet at 717 17th Street. These deals leave the CBD submarket with only five existing buildings offering 100,000-square-foot options. 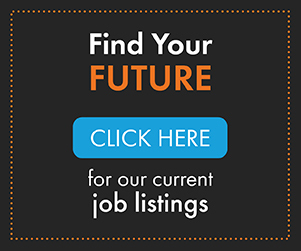 The limited number of large blocks may prohibit some growing companies from exploring relocation and oblige them to maneuver within their current buildings. 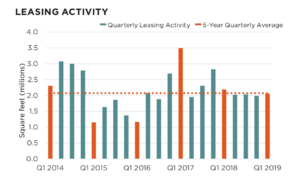 Leasing activity is expected to be strong in 2019, with numerous tenants – both from inside and outside the market – actively seeking space.